User management gives organization admins a simplified way to administer their organization. 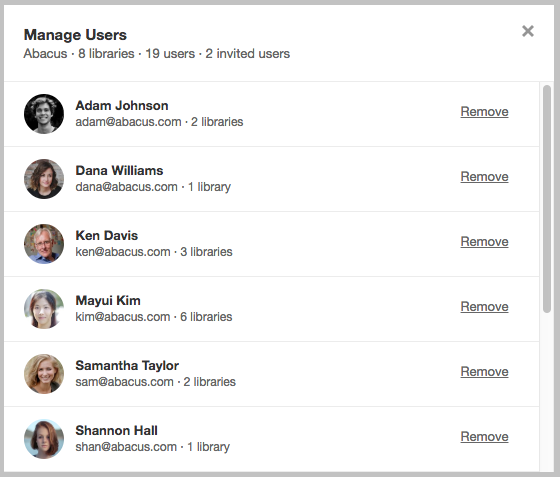 With user management you get a single dashboard to see all organization users and invited users. From there you can easily remove a user with a single click from all libraries. You can also cancel their account and ensure access is immediately revoked. You can access this from the Manage Users menu in the user menu in the bottom-left corner of Notejoy. User management is available in Notejoy Premium. Learn more about the benefits of Notejoy Premium here.